IKEA Ottawa Has Championed ONFE’s School Breakfast Program Since 2003—And Shows no Signs of Stopping! This month, we’re showcasing a handful of our phenomenal community leaders during ONFE’s Love Campaign. First up is our long-time partner, IKEA Ottawa. 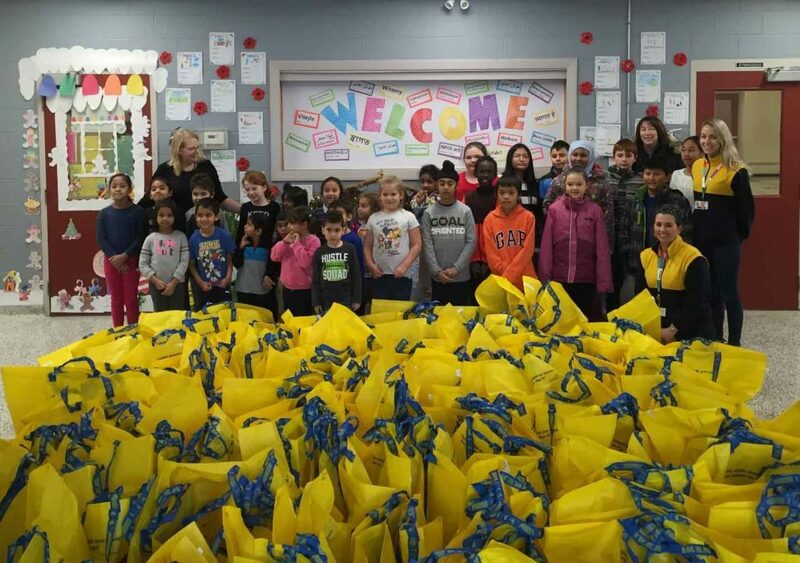 For the second consecutive year, IKEA staff generously packed bags filled with goodies for every student at St. Rose of Lima School! Last summer, IKEA staff presented ONFE with a generous cheque for our School Breakfast Program. Though our School Breakfast Program has an extensive reach in the city, it is far from being ONFE’s only program. “When you hear ‘ONFE’, perhaps what comes to mind is the School Breakfast Program, or volunteering within the Ottawa school boards. ONFE is so much more than that. These programs engage kids beyond the classroom, provide a chance to start their day with a nutritious meal, more prepared to learn, and finish their day confident and ready to take on the next challenge.” We couldn’t agree more, Julie! Over these last several years, IKEA has contributed more than $57,000 to ONFE’s School Breakfast Program. Their generous contributions started out as donation boxes at cash lanes and expanded to include staff volunteer opportunities and donations of food and product, totaling over $3,000 annually! ONFE’s programming, including the School Breakfast Program, isn’t possible without the commitment of amazing community partners, like IKEA. We are grateful for their generous and ongoing support. On behalf of the thousands of students our School Breakfast Program reaches every school day, thank you, IKEA! 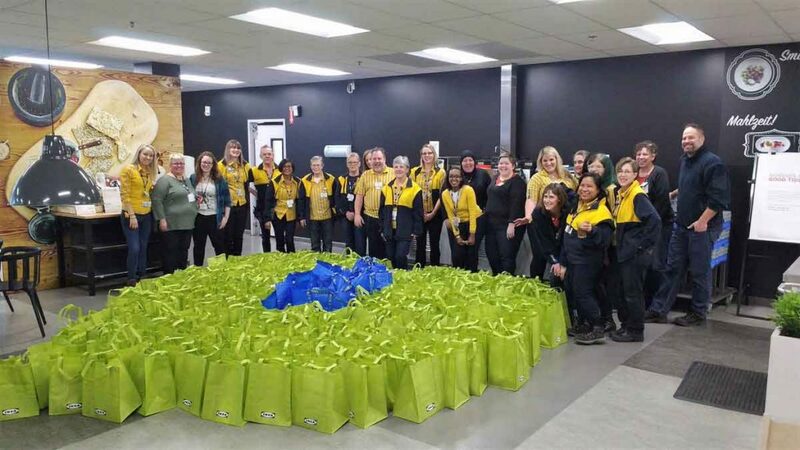 IKEA staff were all smiles in 2017 as they packed breakfast bags for students at St. Rose of Lima School. What a generous donation of time, food, supplies, and care! Did you know that, every year, ONFE’s School Breakfast Program distributes over 2.5 million nutritious meals to children and youth across Ottawa? To sustain the program, we need to raise more than $550,000 annually. You can make a direct impact on the students in our community by becoming a monthly donor, planning an event on our behalf, or partnering with us. Your donation will help a child eat, learn and succeed! ← Volunteering with JA Ottawa: a Win-win for Students and Volunteers !